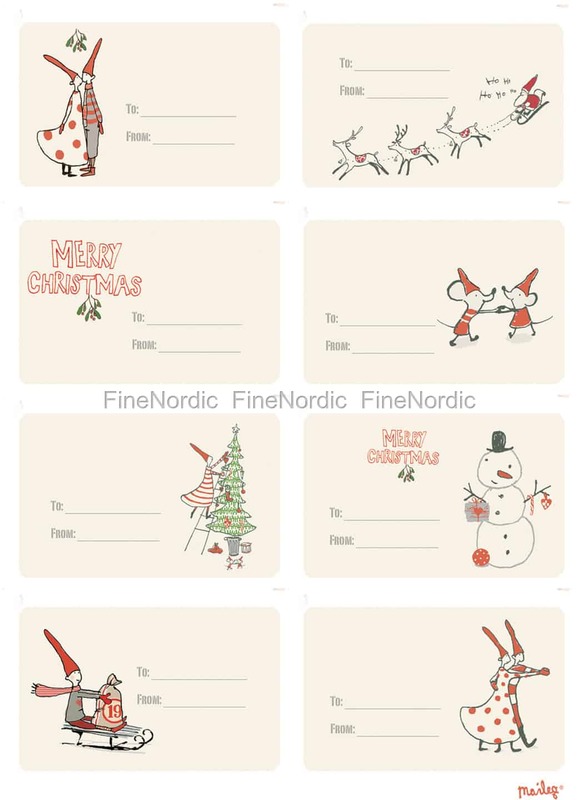 The adorable Maileg Christmas gift tags come on a sheet of 8 stickers each. Eight different motives drawn in the most beautiful Maileg manner and with great attention to detail. Next to To and From, you can write the name of whom the gift is from and whom the gift is for. So there's no confusion at Christmas. Just wrap up the present, write the names on the sticker, stick it on the gift and put it under the Christmas tree and now it’s time to enjoy some Christmas celebrations.